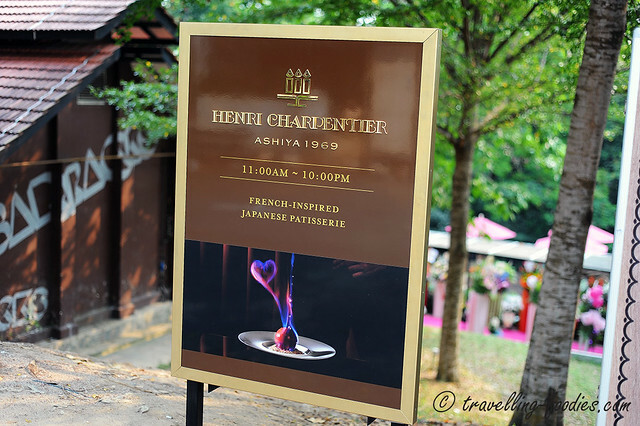 It has been several months since the news of the renowned Japanese patisserie Henri Charpentier (HC) has finally set up a dessert salon here in Singapore, making it their first overseas outlet outside Japan. Truth be told, that came as a surprise for me as most others would have made their presence in other Asia-Pacific regions, like Hong Kong or Taipei where the pastry scene is somewhat more vibrant than us here. Perhaps the pastry and dessert markets in these places are somewhat saturated already, making it more competitive to venture into. Perhaps HC saw the potential in establishing a joint or two here in this relatively untouched land. Whichever the case, a new player in the market is always welcomed. Hopefully the coming of HC signifies the escalation of our local pastry scene onto the next level. But that remains to be seen. 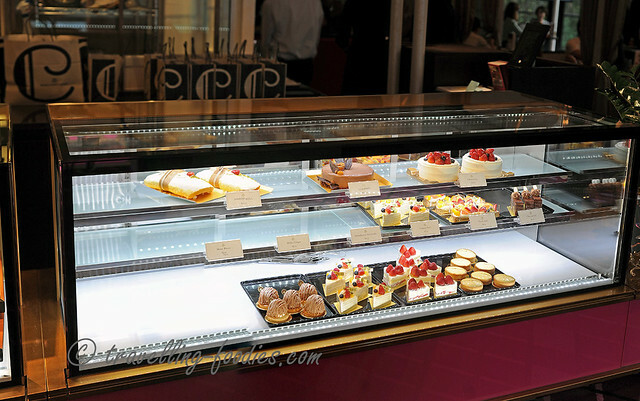 HC is a very established name in the pastry scene in Japan, started in Ashiya Hyogo Japan back in 1969. 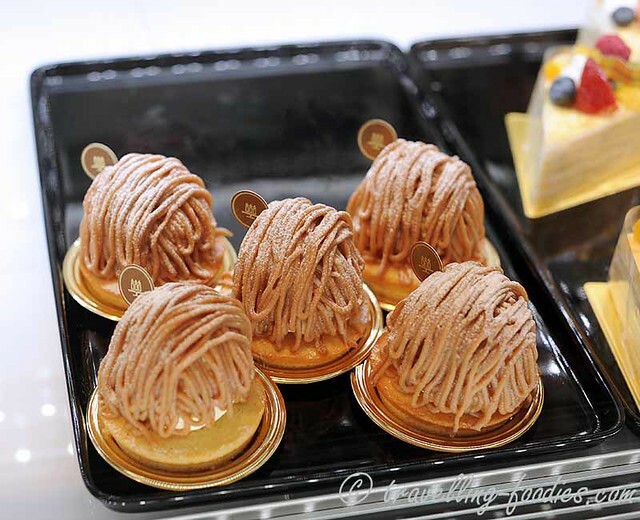 In fact, they were most definitely one of the first to bring in the then novel concept of French patisserie making and appreciation into Japan. Mind you, this was even before Gaston Lenotre, the founder of one of the largest known F&B empires in France opened his first restaurant in Japan in the mid 1970s. 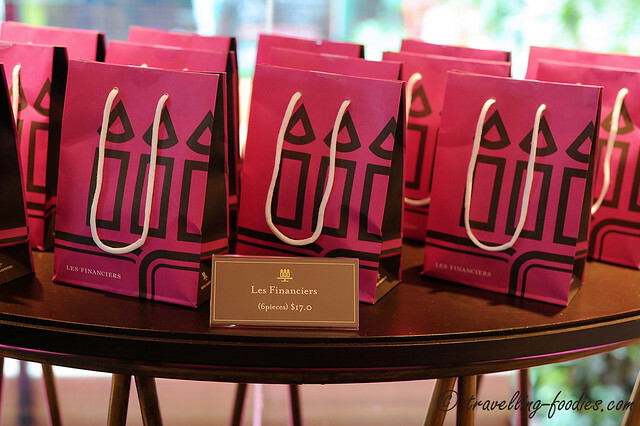 Interestingly, Patisserie Henri Charpentier is not opened by the French chef himself. 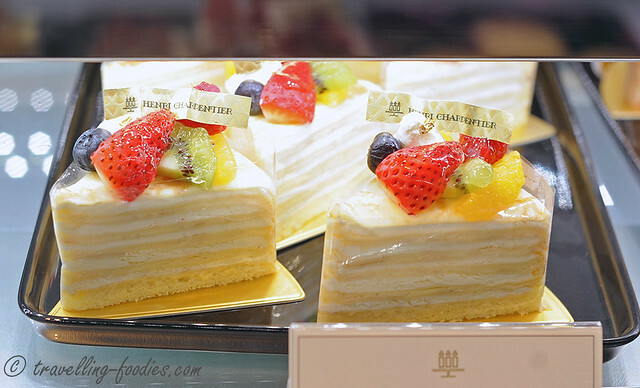 Henri Charpentier lived most of his life in the United States and died a couple of years earlier in 1961 before the first Patisserie Henri Charpentier opened in Hyogo Japan. Like Escoffier, Charpentier represented an “era” in French nouvelle cuisine, and is most famously associated with the famous plated dessert, Crepe Suzette which he had purportedly and arguably invented right at a dinner reception for the then-Prince of Wales, the son of Queen Victoria, who went on to become King Edward VII. 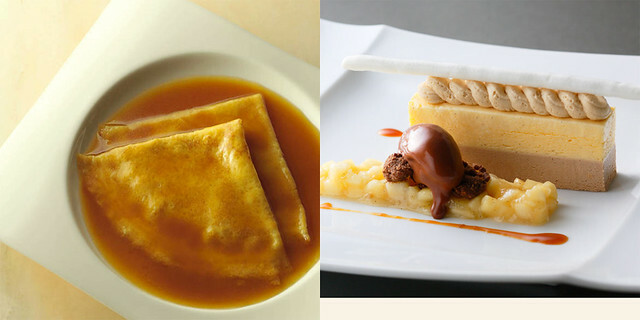 Quite an amazing culinary fairy tale which is still very much perpetuated till today as Crepe Suzette remains one of the signature dishes on HC’s plated dessert menus. The unique thing about Henri Chapentier @ Dempsey is that it is the very first dessert salon which it has opened outside Japan. The concept of plated desserts is slowly gaining popularity throughout Japan with more and more patissiers turning to this form of culinary arts which is much more visual and dramatic compared to the traditional static way which desserts are presented. This is not a novel idea of course as the mother of all culinary performances is the presentation of the Crepe Suzette, which typically begins with the swirling of a shallow frying pan to prepare the crepes. The drama intensifies with the slight poaching of the freshly made pancakes in a concoction of sugar, orange juice, over which an orange is freshly zested, tremendously enhancing the visuals while at the same time, sending wafts of aromatic zing from the volatile orange oils to the audience. The act heightens with the flambe of the poached pancakes douched with an orange-based liqueur like Cointreau or Grand Marnier, as the alcohol in the liqueurs burns off in an alluring bluish flame leaving behind the intense flavours which scales up the palatal dimensions one would be able to experience, all in one dish. Apart from the traditionals, HC @ Dempsey may also offer a small selection of other plated desserts which had been designed for the Singapore menu which they aspires to astound the diners both in taste and visuals as well. Two tarts are available on the menu, “lemon tart” (Tarte au Citron). 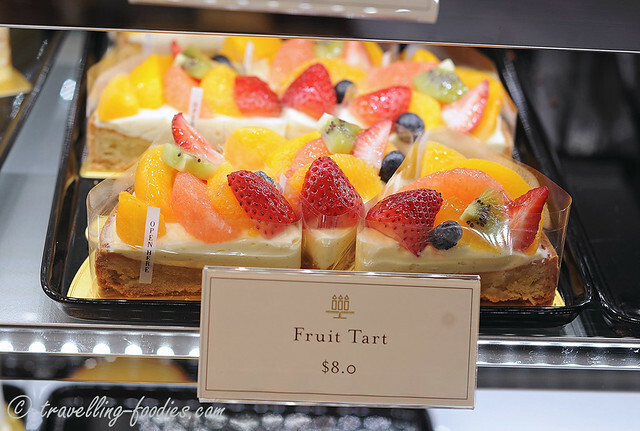 another all time favorite as well as a “Fruit Tart” (Tarte aux Fruits), the former in the form of small individual tartlettes while the latter come in sliced form. A lemon curd tart encased in a pate sucree tart shell is yet another staple in most French pastry joints. 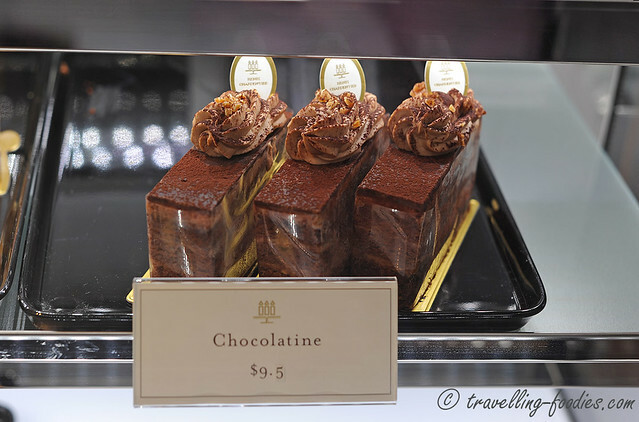 We see them being offered in both local pastry delis as well as foreign names who had made it to our shores earlier. Let’s hope that those from HC would be much more enjoyable than some lesser palatable ones we’d tried before. The Fruit Tart is a well baked tart with pate frangipane filling and subsequently topped with cream and morsels of fresh fruit. Colourful and thus visually very appealing yes for sure but tastewise, I am not sure if it would be just as exciting. Then there is a Mille-Crepe, obviously suited to local taste as this confection has become increasingly popular over the last few years or so. And this is where the “French-inspired Japanese pastry making” starts to become more apparent. Crepes are from France of course but the idea of a multi-layer pancake cake seems to have taken off in the East more so than where crepes have originated. Somewhat tactical but a slight letdown if you ask me. Give me a well constructed Mille-feuille anytime instead. I would have appreciated layers of crisp, buttery and delicate puff pastry much more than layers of pancake lathered with fresh cream. Then again, this is entirely a personal opinion and nothing against Mille-Crepe of course. Just look at how neat the layering is for HC’s Mille-crepes though somewhat lacking in the number of layers compared to what is being commonly offered. The base is also a classic sponge layer, breaking the monotony of an all-pancake construction. Interesting, but also not terribly exciting if you ask me. For those looking for larger cakes to enjoy with friends and family, HC@Dempsey also offers some whole cakes which are well suited for birthday gatherings and celebrations, just like these Strawberry Shortcake had been named..
And yet another large entremet available named La Jardin (The Garden) which is essentially am apricot-almond-chocolate creation I think. 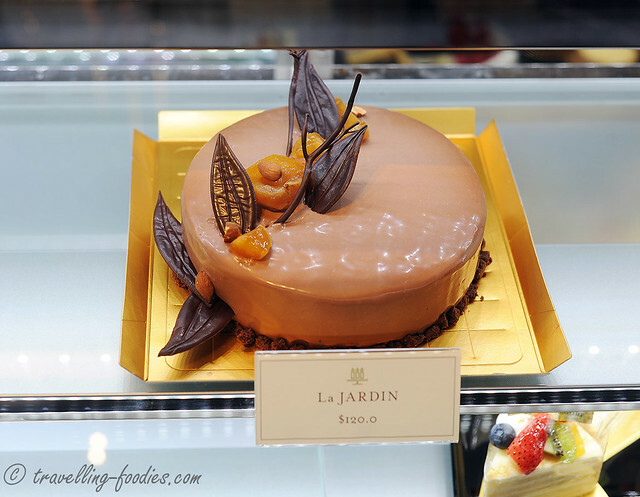 Some may be taken aback by the price tag but just think of how exorbitantly priced some of those largely inedible fondant birthday cakes are going for at some other places, I would rather splurge a bit to have a little walk in this little chocolate garden, don’t you think? 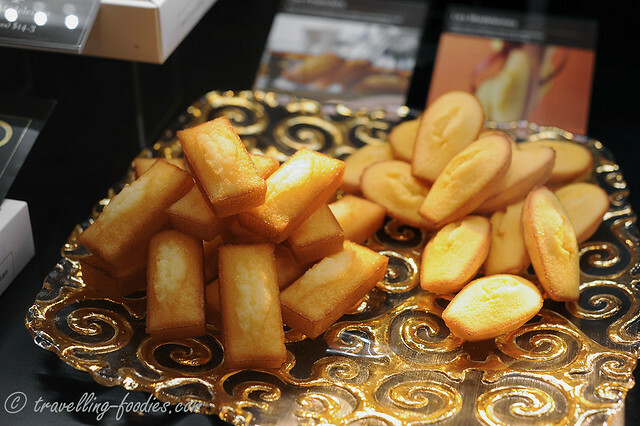 No HC outlet would be complete without their offering of petite pour secs like Madeleines and Financiers. 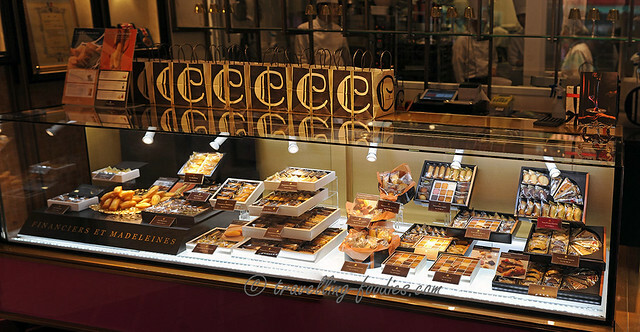 HC’s Financiers are very famous and rightfully so as they are absolutely delish which we’d tried in Kyoto 3 years back. The classic ones were incredibly moist and buttery while the matcha ones were just sheer joy. Let’s hope that they would bring in those Japanese green tea ones as well. And they have nicely pre-packed ones going for SGD 17 for 6 ready to go. These dainty tea cakes have a slightly longer shelf lift than those donned with cream and mousse but rest assure that they will be gone in no time! And if the dining experience at HC@ Dempsey is good, one could also opt for some takeaway confections which had been beautifully packaged. 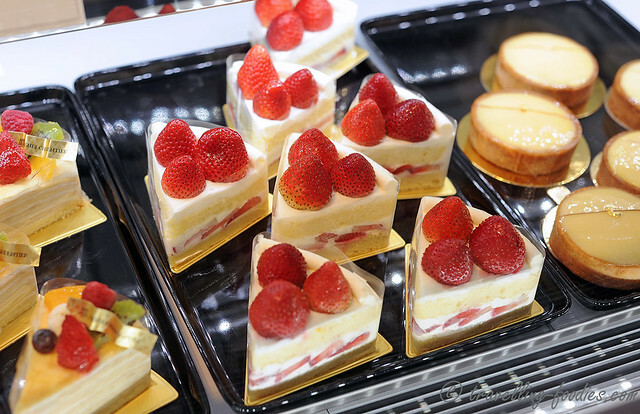 The selection of mignardises and small tart slices would make perfect gifts, which the Japanese are very fond of receiving and giving away as “omiyage”. 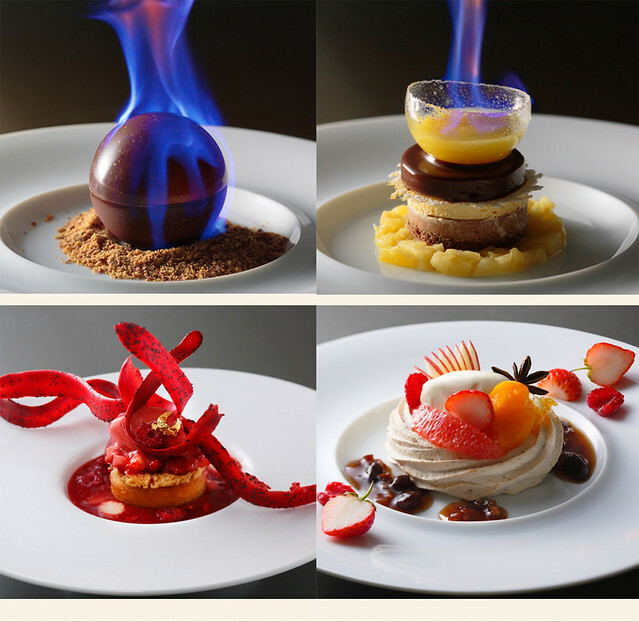 NOTE: Photos of plated desserts are copyrighted to Henri Charpentier’s Japan website. This entry was posted on October 9, 2014 by Alan (travellingfoodies). 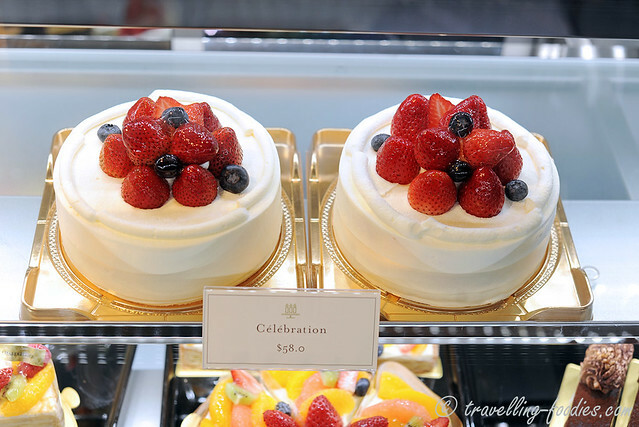 It was filed under Food, Travel and was tagged with Dempsey Hill, dessert salon, financiers, french pastry, fruit tart, Henri Carpentier, lemon tart, madeleines, millecrepe, mont blanc, pâtisserie, Plated Desserts, Singapore, strawberry shortcake, tart au citron, tarte au rouges.